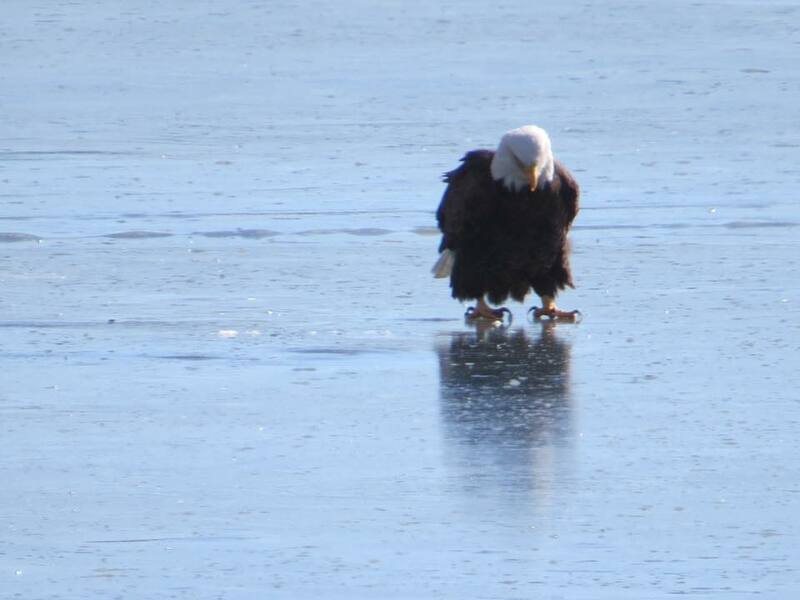 Even though eagles have been banned from The Charles River Esplanade in Boston (because anything even remotely tied to Philadelphia is off limits ahead of Super Bowl LII), they are still allowed on Lake Chargoggagoggmanchauggagoggchaubunagungamaugg. Webster resident Randy Becker caught quite the sight this week. 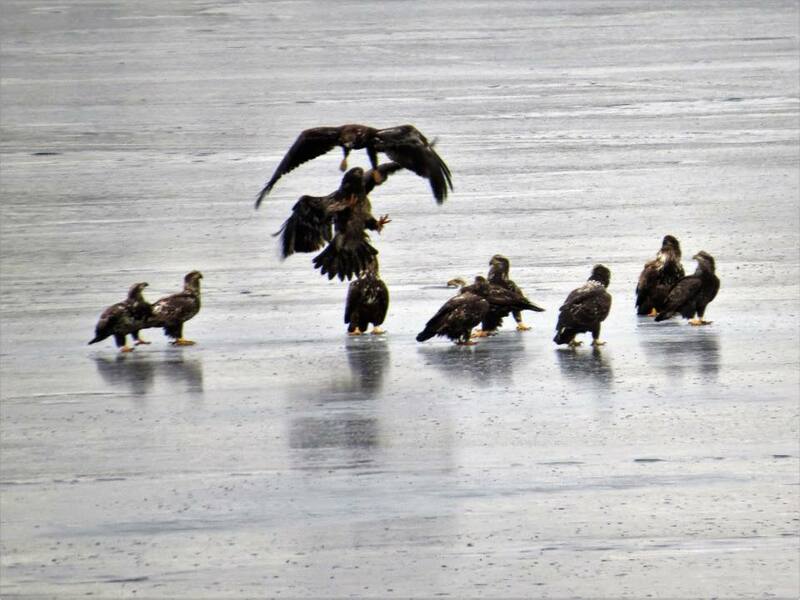 He took several photos of bald eagles gathering on Wednesday and allowed us to share them. There were also 2 mature eagles, possibly the parents, flying around the area as well. There is a nearby nest on Little Island. The bald eagle is, of course, best known as the national emblem of the United States, chosen for this honor in 1782 by the Second Continental Congress because the species is unique to North America. However, they went from being common in the early 1700s to extremely rare in the lower 48 states by the 1960s. 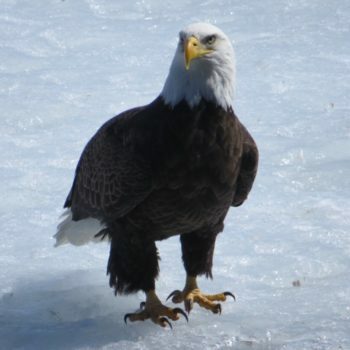 The bald eagle was first declared an endangered species in 1973. 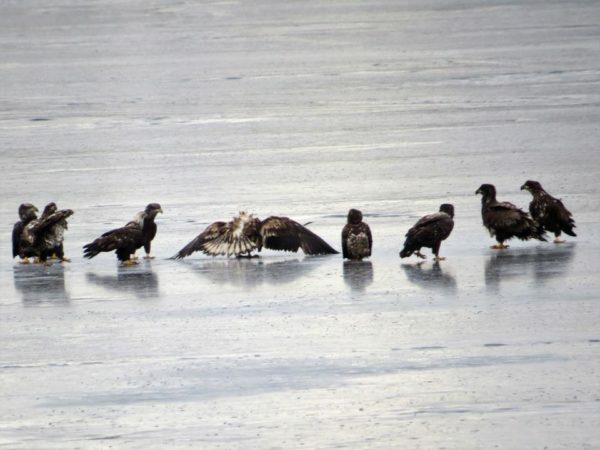 Randy tells The Lake 940 that he and his wife Donna have been taking photos of eagles for years on South Pond. He even shared a photo she took in March of 2015 when one was just 30 feet away from his home. Thanks for sharing, Randy – such a beautiful site in Webster. We’ve posted a few more photos below, courtesy of The Beckers. Okay, enough talk about eagles now… we are in All-Patriots mode for the next week!